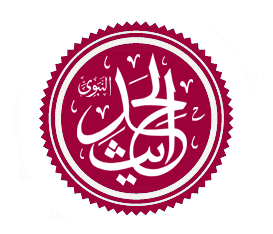 The Hanbali school is one of the four traditional Sunni Islamic schools of jurisprudence (fiqh). It is named after the Iraqi scholar Ahmad ibn Hanbal, and was institutionalized by his students. The Hanbali madhhab is the smallest of four major Sunni schools, the others being the Hanafi, Maliki and Shafi`i. Aḥmad Ibn Muḥammad Ibn Ḥanbal Abū ʿAbdullāh Ash-Shaybānī, often referred to as Aḥmad ibn Ḥanbal or Ibn Ḥanbal or Ibn Hambal or Ahmad Ibn Hambal for short, or reverentially as Imam Aḥmad by Sunni Muslims, was an Arab Muslim jurist, theologian, ascetic, and hadith traditionist. 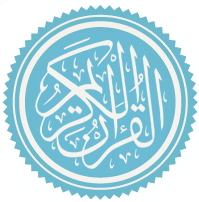 An enormously influential and vigorous scholar during his lifetime, Ibn Hanbal went on to become "one of the most venerated" and celebrated personalities in the traditionalistic Sunni Islam, within which he was often referred to by such reverent epithets as True Shaykh of Islam, Proof of the Faith, and Seal of the Mujtahid Imams. He has been retrospectively described as "the most significant exponent of the traditionalist approach in Sunni Islam," with his "profound influence affecting almost every area of" traditionalistic Sunni thought. One of the foremost classical proponents of the importance of using hadith literature to govern Islamic law and life, Ibn Hanbal is famous for compiling one of the most important Sunni hadith collections, the celebrated Musnad, an enormous compendium of prophetic traditions that has continued to wield considerable influence in the field of hadith studies up to the present time. Additionally, Ibn Hanbal is also honored as the founder of the Hanbali school of Sunni jurisprudence, which is one of the four major orthodox legal schools of Sunni Islam. 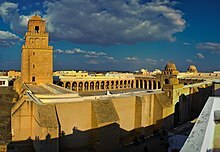 Al-Ashʿarī was an Arab Sunni Muslim scholastic theologian and eponymous founder of Ashʿarism or Asharite theology, which would go on to become "the most important theological school in Sunni Islam".